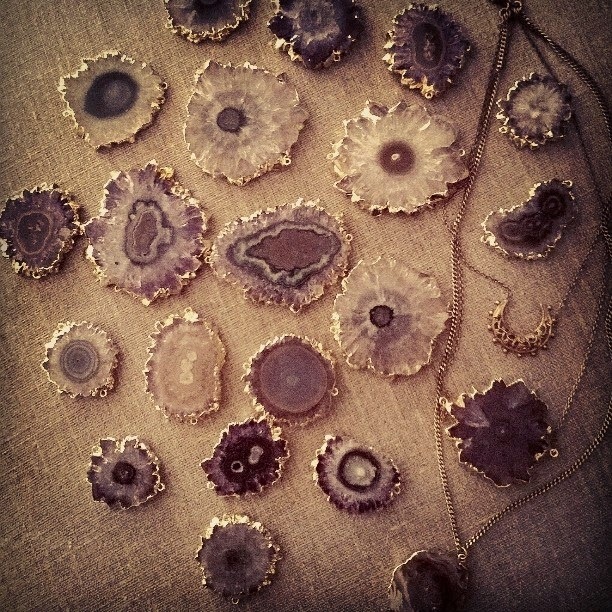 Simona Mar: My 3 Layers Necklace, Crescent Moon + Stalactite Slice + Geode Druzy will be back in stock! My 3 Layers Necklace, Crescent Moon + Stalactite Slice + Geode Druzy will be back in stock! I recently started using Instagram, you can follow me here. Lots of you asked about my 3 Layers necklace and you can find it back in shop. These are all the stones available for now. Because the stones vary in their size and shape, I will have 3 different necklaces.